Following on from a fruitful NAMM 2016, ADJ is set to continue this success at the Prolight + Sound 2016 event over in Europe. Featuring world-leading brands from across the event technology industry, the international trade show will run from April 5-8 at the Messe Frankfurt Convention Center in Frankfurt, Germany, where ADJ will give visitors a first glimpse at its latest innovations in Hall 5.0, Stand B88. 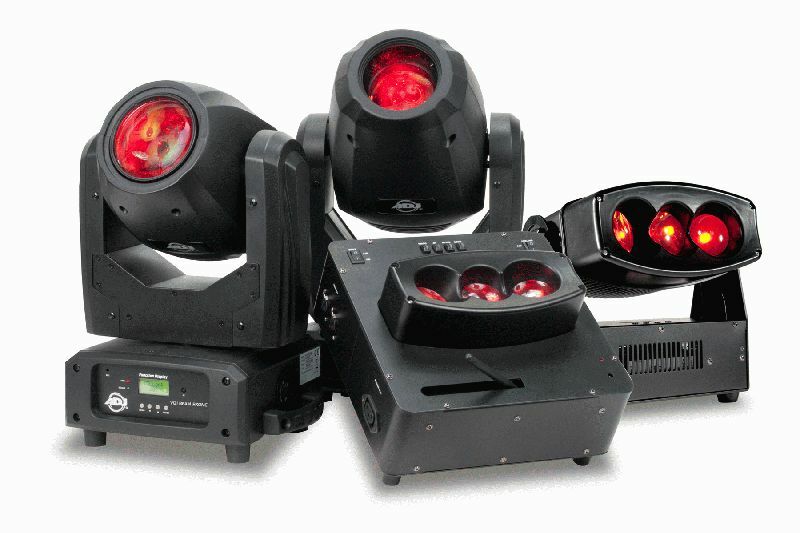 Amongst other products, the ADJ booth will showcase a selection of much-anticipated new moving heads and effects, the true potential of which will be shown via a series of stunning programmed lightshows. Utilizing professional features, powerful light sources and plenty of ADJ’s trademark versatility, the new fixtures – the Vizi Beam RXONE, Focus Spot Three Z, WiFLY Chameleon and Chameleon QBar Pro – demonstrate the company’s commitment to creating affordable but forward-thinking products that deliver pure lighting excitement like no other. A long-awaited addition to ADJ’s popular Vizi range of professional moving heads, Frankfurt will receive a first glimpse at the incredible new Vizi Beam RXONE! 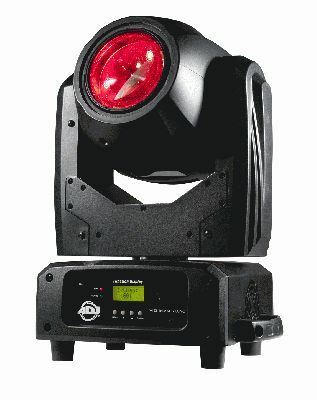 Utilizing a powerful 1R discharge long life lamp that boast a visibility up to 100M, independent color and GOBO wheels, and a super-tight 3-degree beam angle, this high-output moving head creates crisp beams of light in a series of stunning colors (14 + white) and exciting GOBO patterns (14 + spot). 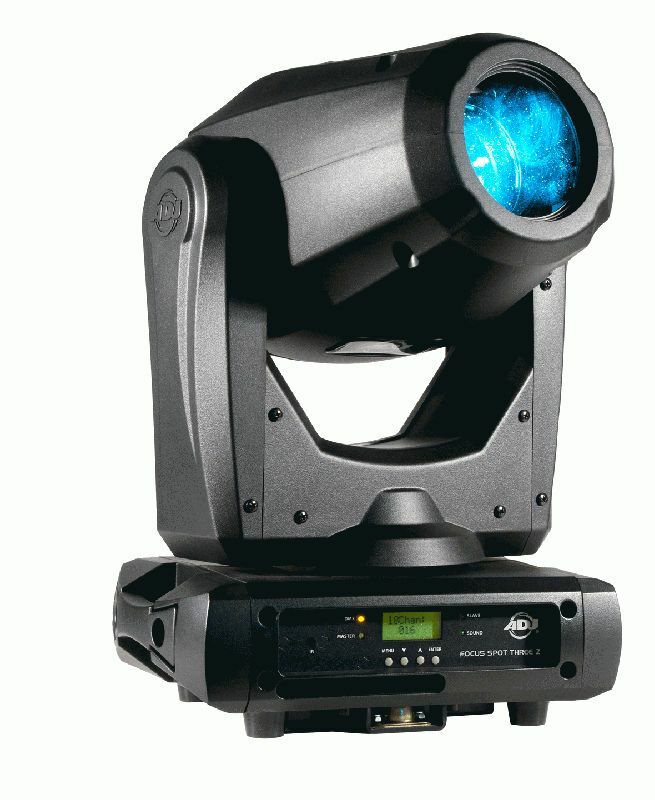 This nimble moving head also includes a frost filter to give the beam a wash effect making this fixture useful for a variety of applications. the first fixture to be announced from the company’s new Focus Series. All fixtures in this series will feature motorized focus. Hot off the press, the brand new Focus Spot Three Z moving head boasts a potent 100W LED source and a host of game-changing modern features, giving visitors lots to look forward to. The next fixture to be spotlighted at Prolight + Sound, ADJ will also showcase its new WiFLY Chameleon – a forward-thinking, battery powered + wireless DMX, wall-wash unit that generates three beams projected from lenses at different angles and uses offset colors to produce distinct, one-of-a-kind effects! Powered by three 18W hex-color LEDs (RGBWA+UV) and with a convenient multi-angle kick stand, the WiFLY Chameleon lets users generate incredible wall washes in a wide range of smoothly mixed, UV-infused colors. Furthermore, offering extended-range ‘WiFLY EXR’ – for wireless DMX control from a distance of up to 2,500ft – and a built-in rechargeable lithium battery too, users can easily incorporate their WiFLY Chameleon into a truly wireless setup. Similar to the WiFLY Chameleon, the Chameleon QBar Pro offers the same effect of 3-beams at separate angles for wall washing but has a different, more scaled down, feature set. 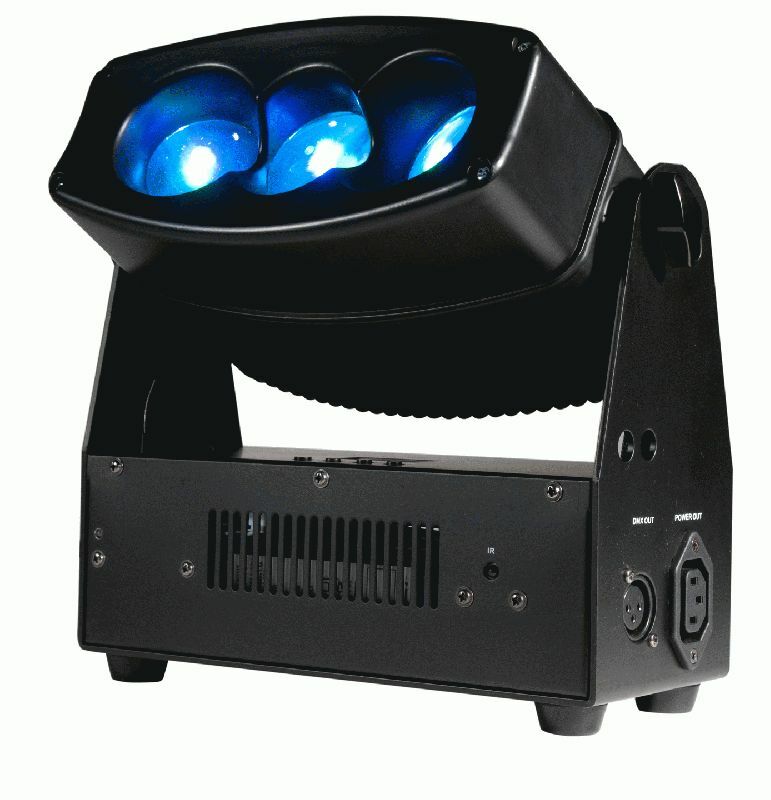 The QBar Pro also has ADJ’s ‘WiFLY EXR’ extended range wireless DMX, but it is not battery powered. 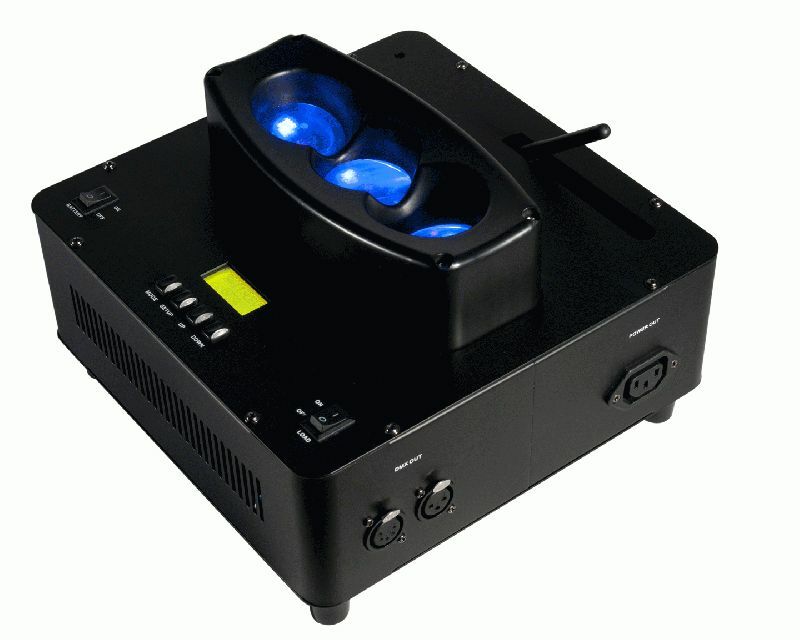 Its powered by three separate high powered 30W quad-color LEDs (RGBA) each at a 15-degree beam angle. The head on the Chameleon QBar Pro is manually adjustable so that users may change the beam direction. This is a particularly handy feature to adjust your beam coverage while wall washing.